THE PARTS DEPICTED IN THE IMAGES ABOVE ARE NOT PART OF THIS MOD. THEY ARE FROM OTHER MODS THAT USE THE CAPABILITIES OF THIS MOD. So People Stop asking me the mods depicted in the album above are from left to right. KPBS, DeepFreeze, Orbital Utility Vehicle. You can create MM files to make pretty much any and all parts that have internals be transparent, but they are not included in this download. It used to be called JSITransparentPod and was distributed as part of RasterPropMonitor bundle. @MOARdV and I have agreed to split it off from the main RPM and from now on will be distributed separately. Yes Stock KSP 1.1 has a kind of IVA Overlay feature. But it does not go all the way that this module does. This module is an update to the previous module and will be known as JSIAdvTransparentPods. Transparency feature for configured parts that will show the IVA internal models of parts that have been configured to use this module. Ability to Swap Shaders on the External and Internal model to make Window appear Opaque or Transparent. Ability to toggle Transparency setting ON/OFF/AUTO (mouse over) on a part by part basis. Transparency (show internals) for ALL Loaded vessels (not just the Active Vessel). Automatically handles and supports when the user Toggles the stock IVA Overlay feature on and off. Works in Editor mode (although it does not support the DepthMask Shader meshes in Editor mode) you only see the entire IVA over the external when you turn TransparentPod mode ON in the editor. Ability to have two different Overlay modes - one for TransparentPod mode (say just transparent windows) and another for the stock overlay mode. Support for DepthMask shaders in the Editors. For mod authors you need to follow the specific requirements of this mod in your models and config files. Due to Unity camera limitations and the way KSP camera and universe is set-up (It's complicated, but if you want the full explanation send me a PM) any objects in the foreground of an IVA can be occluded/cut-off by the IVA. 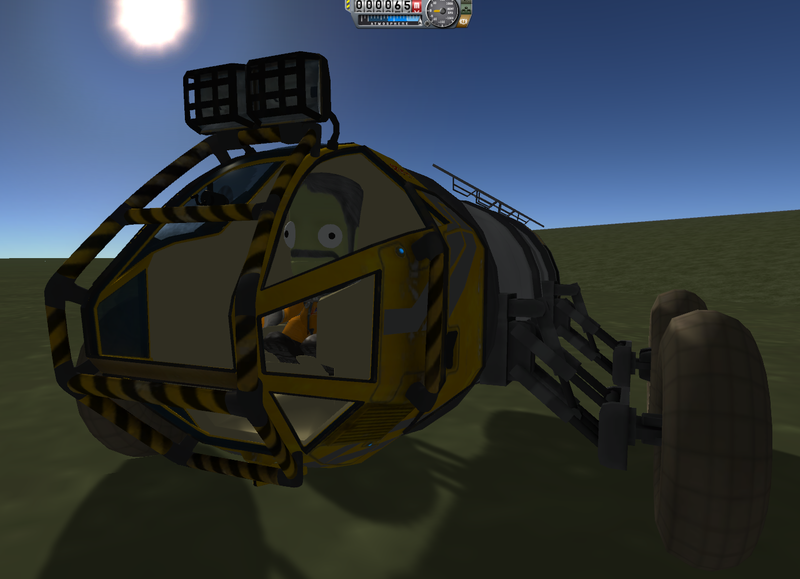 This also occurs with the stock overlay feature introduced in KSP 1.1. I have implemented some basic ray casting to help allieviate this, but it only works when the object in front of an IVA is directly between the IVA and the player's viewing camera. I am investigating other ways to deal with this issue, such as shaders and depth-buffer, hand-wave algorithms. transparentTransforms processing only works for the first mesh/transform for each name specified in the field, you can get around this by naming each mesh/transform uniquely. Will be fixed in next version in the next day or so as this is a bit of a game breaker for people wanting transparent windows. In Editor (VAB/SPH) DepthMask shaders are disabled until I can figure out how to get the cameras setup. TransparentPod settings do work in the editor however, just not with the overlay meshes. Fix issue with use of the disableLoadingInEditor parameter. defined as JSITransparentPods. ie: Stock Plane Cockpits. Fixed issue where Part Triggers were being considered for blocking the Transparency of a part. Changed Settings to use new Stock Settings Integration. Fixed bug in TransparentTransforms processing for window shader swapping. Fixed issue with Transparent shaders support for transparent Windows. Added check to part startup for fields stockOverlayDepthMaskShaderTransform & transparentPodDepthMaskShaderTransform if they cannot be found then processing is sped up (effiency change). 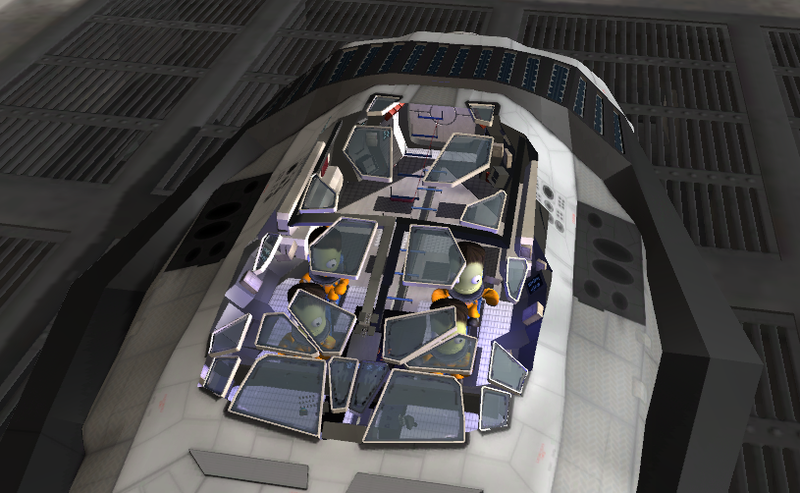 Added support for Internal Models defined to parts that have NO crew capacity at all. 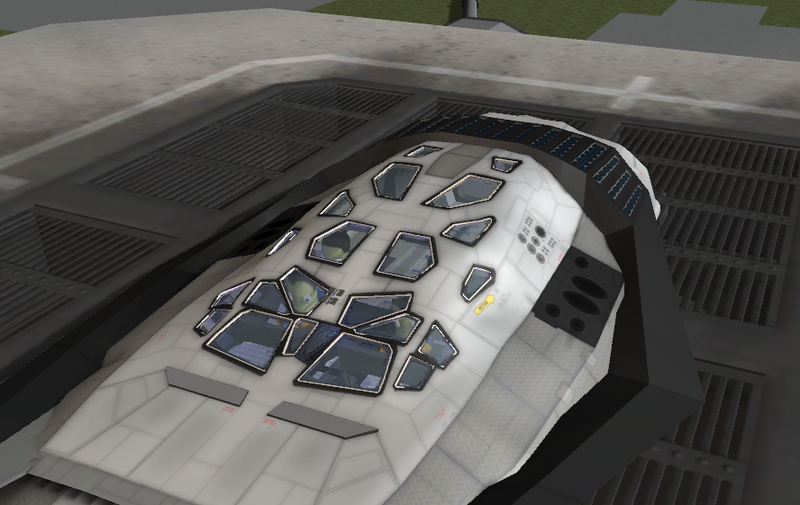 (Stock does not spawn or support internal models for parts that have no crew capacity defined, but that doesn't mean we can't do it, this mod now supports it). Added bool field combineDepthMaskShaders. If this is set to True (Default is false) then the transparentPodDepthMaskShaderTransform is treated as an ADD_ON to the stockOverlayDepthMaskShaderTransform mesh. and BOTH will be turned on in JSIATP mode and the transparentPodDepthMaskShaderTransform will be turned off and the stockOverlayDepthMaskShaderTransform will be turned ON when in Stock overlay mode. This is to support different model configurations depending on what the modeller/modder requires. See WIKI for more details (added pictures to the WIKI as well). WIKI updated with more details and examples. Added swappable/multiple Depth Mask Shader support. See the WIKI page for details. Automatically enable/disable the TransparentPod setting (part right click menu) if the IVA is obstructed by something else in front of it. "OFF" or "AUTO" it will remain locked in that state whilst obstructed. Fixed broken Transparent Shader and Opaque Shader swapping functionality. Fixed camera jitters/lag on Transparent IVAs that are not part of the active vessel in flight. Fixed Portrait Cameras when EVA from vessel. Fixed ON/OFF/AUTO functionality in the Editor. Opened settings var LoadedInactive to public so other mods can get it if they want it. Public bool isIVAobstructed added to JSIAdvTransparentPod will be true if IVA attached to part is obstructed by another object in the foreground. Lots of bug fixes. Fix issues with portrait camera processing. Fix bugs with settings file. Settings file now changed to default to show transparent pods on all loaded parts, and fixed logic for processing. JSITransparentPod is now obsolete (sorry for the short notice). Support for it has been removed from RasterPropMonitor. To replace it, JSIAdvTransparentPod, in its own DLL, is now included in the RPM distribution. The new module takes advantage of the stock cutaway functionality. For support please refer to the KSP Forum Thread. JPLRepo : Plugin design and development, C# coding, Graphic design, 3D Models, textures, Implementation and releases. #autoLOC_JISATP_00009 = Включите это, чтобы записать много дополнительной информации в журнал KSP для сообщения о проблеме. #autoLOC_JISATP_00011 = Включите это, чтобы иметь прозрачные подкисы на всех загруженных сосудах (а не только на активном судне), если выкл. Только активное судно будет прозрачным.